March 21st in WordPress Themes by Wordpress Jedi . Lots of folks would love to find a great diet to get their body back in shape. There is a very good reason many entrepreneurs target this field with their goods and services these days. If are planning to build a diet or fitness website, you need to make sure it leaves a good first impression on your visitors. Diet & Nutrition Health Center happens to be a beautiful theme designed for diet and nutrition websites. It has a responsive design with plenty of pre-configured page layouts to help you go live faster. 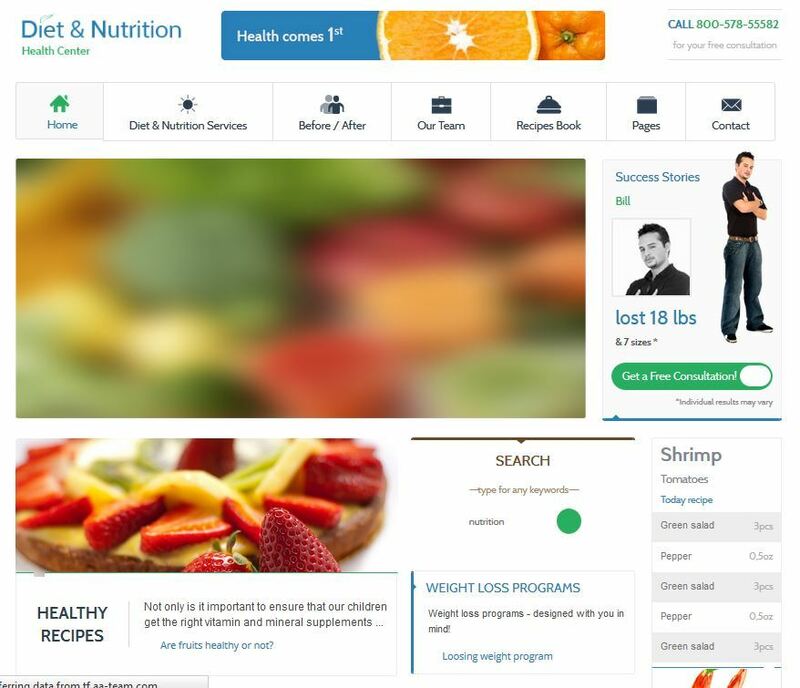 Diet & Nutrition Health Center has a modern design with a cool homepage slider. The theme has page layouts for your diet & nutrition services, team members, recipes, contact pages, and more. Webmasters can create their own recipe book fast. 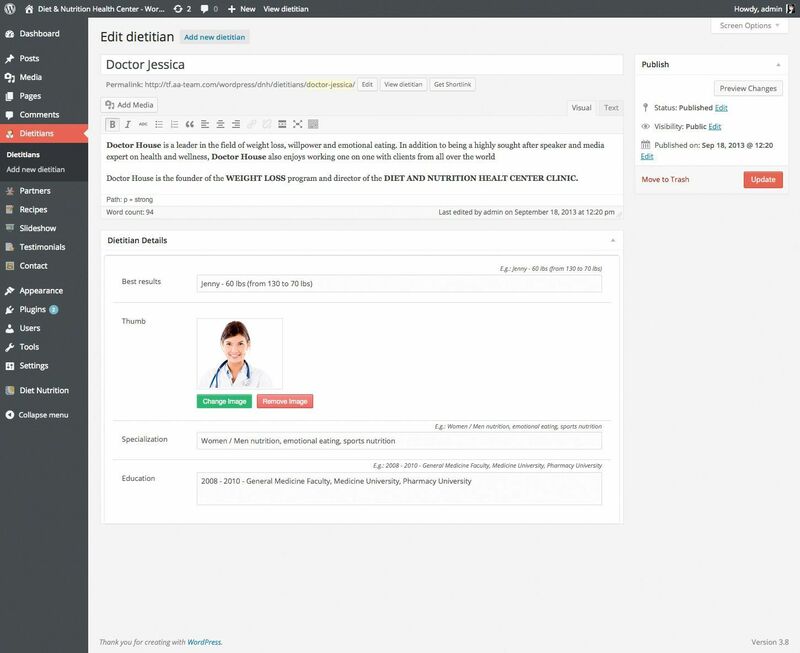 It is social media ready with support for Facebook, Twitter, Pinterest, and Google+. Dummy content is available should you need it to try the theme before adding your own content. Diet & Nutrition Health Center looks clean and professional. It is mobile and Retina ready. It could work great for diet, health, and other small businesses in this industry.